A tanning bed allows you to achieve the same bronzed look to the skin that spending time in the sun would do for your complexion. However, tanning beds have the added benefit of even tan coverage, and the ability to do so with significantly less clothing. Unfortunately, many of the same problems with tanning directly in the sun can occur with a tanning bed. 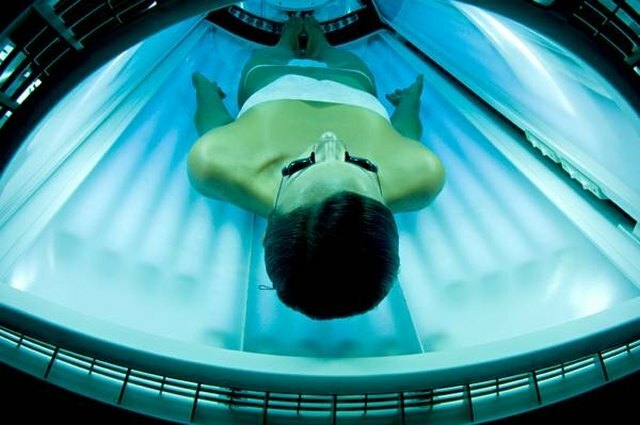 Not only can a tanning bed expose you to an increased risk for skin cancer, you may also have the same type of allergic reaction that many people do to sunlight. Tanning beds operate using what are called ultra violet (UV) rays. These UV waves of invisible light can have many benefits to the human body by producing vitamins and helping strengthen the body against diseases such as colon cancer and rickets. However, they can also have harmful effects on the skin, hair and eyes, if unprotected or exposed to the rays for too long. 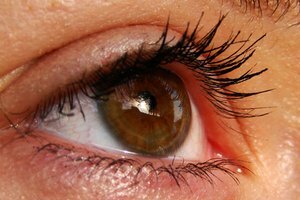 The most devastating effects of overexposure to UV rays are skin cancer and cataracts. Overexposure to the UV rays can also cause your body to allergically react to the rays themselves. Many people do not realize they are allergic to the UV rays being produced by the tanning bed. They may ignore the symptoms and continue using the bed. Symptoms of a tanning bed allergy include breaking out in bumps across the exposed areas, rash of the exposed areas, hives and extreme itching. The symptoms can occur as soon as you get into the bed, to as long as a few hours after the tanning session. A tanning bed allergic reaction does not always come from the UV rays. Many people may also experience an allergic reaction to the plastic used to build the bed inside the tanning equipment. This can be remedied by using a stand-up tanning machine. You may also experience an allergic reaction due to the way your body reacts to the combination of the tanning lotion and the UV rays. UV rays can easily trigger chemical reactions with any substance that you use on your body, whether it be perfume or cologne, or tanning creams and lotions. You may think you have a tanning bed allergy when in reality you are experiencing another skin condition. UV rays can often trigger or worsen pre-existing skin conditions such as psoriasis or eczema. The only way to determine whether the breakout is from an allergy or a existing skin condition is to get the area checked out by a dermatologist. One of the most common allergic reactions to the tanning bed is photosensitivity. This is where the body is allergic to the light itself. Most people who are photosensitive will realize this before they try to use a tanning bed, as even being out in the sunlight without protection can cause intense pain anywhere the sunlight touches the skin. Treatment of tanning bed allergies is much the same as treating an allergy to the sun. Many people choose to self medicate by using over-the-counter allergy products such as Claritin. However, the prescription medication Prednisone is also frequently prescribed to help those suffering from tanning bed related allergies.